Malaysia is one of the leading countries in technology in Asia. If you are from Malaysia and want a website of yours, you are in the right place. In these days and age, almost everyone has their online presence. And, one of the best ways to make yourself stand out online is to own a website of yours. You can use it to show off your personal works or you can use one for your business-related activities. But before you create a website you must need to have a hosting provider. There are a lot of web hosting providers all around the world. Today in this post, we will share information about a number of web hosting providers for our Malaysian readers. This post will also be beneficial if your website receives visitors from Malaysia. Because we will include both local (Malaysian) and international web host companies with cheap and affordable hosting packages in this post. Siteground has been in the web hosting industry since 2004. It was a local Bulgarian web hosting service back then. But with time, SiteGround has become one of the prominent web hosting service providers in the whole world. At this moment, they have about 250,000 users/customers all over the world. But, are they suitable for our Malaysian readers? From their international fame, you can actually take a guess that they will indeed be a perfect choice for anyone from Malaysia. The first positive thing about them is that they have one of their data centers in Singapore which is closer to Malaysia. So, it will be very good for local websites. 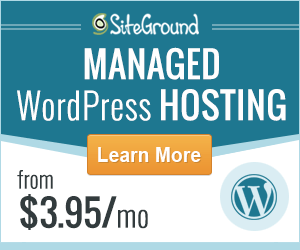 Siteground provides SSD storage facility on all of their web hosting plans. We have tested their website speed test, server response time, and Ping time. On all of the tests, they have performed way better than any other international web hosting services for Malaysian users. You can find the details of those tests in another post of ours. On top all these, we have found out that they have 99%+ uptime record. As we use SiteGround to host our site ReviewPlan.com, we keep a record of the uptime stats of them. We have to admit that they are very careful about the uptime of their customers’ websites. They have one of the best customer support teams in the web hosting industry. We need to contact them from time to time. Every time, they help us out as fast as possible. They are truly helpful and friendly to the customers. Siteground offers all kinds of hosting plans ranging from shared, cloud, dedicated, WordPress to enterprise hosting packages. The best thing is that all of their plans are very affordable and budget-friendly. The shared hosting plans start from just 3.95$/monthly. Overall, we would recommend SiteGround over any other web hosting providers to our Malaysian readers. They are the pioneer of local web hosting providers in Malaysia. They have founded back in 2001. Since then they have grown in popularity enormously. Till this day, they have got over 100,000 customers all around the world. However, they are the best option if you are looking for a local Malaysian web hosting provider. Because they have one of their data centers located in Malaysia. So, it will be very helpful for the local websites owners. If you receive visitors from within Malaysia then it will be perfect to host your websites on Exabytes. On top of these, they offer .my domain which is perfect for local Malaysian websites. A .my domain can help your website in many ways. For instance, you will get an SEO boost for the .my domain within Malaysia. Although Exabytes is better for local websites, you can use it for any other purposes. They offer shared, VPS, WordPress and dedicated web hosting services. Furthermore, Exabytes provide SSD VPS instead of HDD. They are also well known for their customer support. You can rely on them whenever you need them. The uptime record is also not that bad. They are maintaining about 99% uptime on a regular basis. Added to that, they have 100-days money back guarantee. So, you can go with them if you are from Malaysia. HostGator is another internationally recognized web hosting service provider. They have been in the industry for over 16 years. Although they have started as an independent company a few years ago EIG (Endurance International Group) has acquired them. In the meantime, they have gained over 400,000 users all over the world. HostGator is popular for their cheaply priced plans. Also, they allow you to register domain names for your websites. For our Malaysian readers, HostGator can be a good choice. They have some of the most affordable web hosting plans. You can get shared, VPS, Cloud, and even dedicated hosting for cheap. Their uptime stat and website load time are also admirable. On another post, we have covered all the details about HostGator’s performance. You can get an idea about them from that post. Their customer support team is also of top quality. They also have data centers on different continents of the world. For Malaysian websites, they will put your website on a data center which is closer to Malaysia. It will ensure the best performance of your website. We would definitely recommend HostGator if you are searching for an affordable option. Bluehost is another renowned web hosting provider in the world. They are also one of the EIG acquired companies. It is very much possible that you already know about Bluehost. It is very common to see Bluehost as one of the most recommended web hosting providers nowadays. Bluehost has got its popularity for their incredible service to the customers. But another important factor about their popularity is that they offer a free domain name with every hosting plans for the first year. They have a number of data centers on all around the world. However, the most important ones for our Malaysian readers would be the data center located in Mumbai, India. This data center is closest to Malaysia. So, you can select this one to host your website if you are from Malaysia. They have very good uptime record. We have already reviewed them in another post. It is clear that Bluehost can be a very good choice for our Malaysian readers. Bluehost offers a wide variety of web hosting plans from normal shared hosting to advanced-dedicated and reseller web hosting. And, fortunately, all of their hosting packages are budget-friendly. So, for our Malaysian readers, Bluehost can be a great choice. A2 Hosting is another internationally recognized web hosting provider. They are not as popular as HostGator or Bluehost. But, don’t let that mislead you. A lot of users have recommended them without any hesitation. And, we have already tested the website load speed, server response time and the uptime stat of A2 Hosting. We can tell you that they are very reliable. The best thing about A2 Hosting is that they offer both Linux and Windows OS based hosting. Not every other web hosting providers do that. So, if you are from Malaysia and need Windows OS based web hosting then your best bet would be to go with A2 Hosting. All of their web hosting plans are very affordable. However, the prices of the Windows OS based plans are higher than Linux based plans. Another positive side of A2 Hosting is that they have ‘Anytime money back guarantee’. Yes, you have heard it right. You can get your money back anytime you want to (conditions apply). They also have data centers on Asia which will ensure the best performance on websites based on Malaysia. The customer support team of A2 Hosting is also not that bad. However, you might have to wait a bit to get a response from their side on some occasions. Other than that, you can rely on A2 Hosting’s service if you are from Malaysia. Server Freak is a local web hosting provider from Malaysia. They are one of the fastest growing web hosting providers in Malaysia. They have their data centers within Malaysia. And, they own their equipment and have their own service team for maintaining their servers. The journey of Server Freak started in 2003. They offer all types of web hosting solutions including shared, WordPress, E-commerce, and semi-dedicated hosting. On top these, they have domain registration facility. You can buy any domain including .my domain from them. To be honest, their customer support is not that bad. But, for a local web hosting provider, this is nothing new. They try to answer any query within the half an hour. If you can get on with this, then there will be no problem going with Server Freak. Their web hosting packages are very affordable. There are 6 web hosting plans of Server Freak. You can get a basic web hosting pack for just RM 100/year. And, if you want advanced hosting then you need to spend RM 699 per year. In between these two plans, you will get a lot of other options too. With 3 of the advanced hosting plans, you will get one free domain for lifetime. They also offer a lot of additional features. For instance, you will get auto backup of your websites for free. Additionally, you will also get free unlimited SSL with each web hosting plans. Last but not least, all of their servers are optimized for WordPress. So, if you want to use WordPress on your websites, you should go with Server Freak. Another great local web hosting provider for Malaysian users is the Shinjiru. You can’t go wrong with choosing them. They have two data centers and both of them are situated in Malaysia. The first one is located in Kuala Lumpur and the other one is situated in Cyberjaya. Both of these data centers are connected via sophisticated technology. That’s why your websites will be secure and faster than ever. All of their data centers are built with power redundancy, failover, and top-notch security. It makes sure that your websites’ contents are in safe hands. They are offering a wide range of web hosting solutions. They have normal web hosting plans for personal use. On the other hand, they are also offering business class web hosting. You can also get VPS or even dedicated hosting from them. That’s not all. The prices of the plans are also very budget-friendly. With every web hosting plans, you will get free SSL, 3-month money back guarantee and free data backup facility. Shinjiru doesn’t compromise on supporting their customers. They have 24/7 customer support system. You can get your issues solved by contacting them anytime. We would definitely recommend them if you are from Malaysia. IPServerOne has started back in 2003. It was a one-man company when it began its journey. But, at this moment, they are a company of 50+ professionals and about 50,000 customers all around the world. If you are from Malaysia then you must have heard about IPServerOne earlier. They have their own data centers in Malaysia. They offer their web hosting service on both business and personal levels. You can rely on their service. They have typical web hosting as well as advanced dedicated hosting, cloud hosting, and co-location hosting. Along with all these, you will also be able to registered domain names from their website. With every web hosting, you will get unlimited free SSL certificates and auto daily backups. They have taken a lot of steps like Virus protection, spam protection to keep the users’ websites safe. All of the security features are free of cost with any plan. You don’t have to worry about the uptime of your website too. They are known for keeping the uptime of their servers up to 99%. Their customer support is also praiseworthy. As they offer email support on a first come first serve basis. You can also contact them via direct phone calls. Their customer support team is available 24/7/365. There a lot of factors to consider when it comes to choosing the web hosting provider for your websites. But, among them, you need to think about a couple of things more seriously. And, they are — quality of service and the expense. You need to compare the services you are getting to the money you are spending. And, it is easy to forget about quality when you are looking for a cheap web hosting. One of the most common things is that if you go with the cheapest option, you must have to sacrifice on quality and vice-versa. So, we have shared some of the best yet cheap and affordable web hosting services for our Malaysian readers here. You can now make your decision depending on your needs. However, we would recommend SiteGround if you want to go with an international hosting provider. On the contrary, if you are here for a local web hosting provider then we would recommend Exabytes. We hope this will help you out.